Hello, my name is Victoria Denning and I am owner and operator of Paws Plus Nanny For Your Pets. Paws Plus began from my desire to be my own boss. 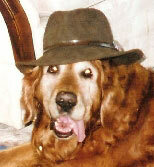 Since 1989 I have been working and caring for dogs. Finding a great need for in-home pet care, I started Paws Plus in 2002, offering services from Dog Walking, Daily Visits, Overnight Care, Taxi Service and much more, and yes, I have added kitty care as well. Since starting my business I have been a volunteer at the Sonoma Humane Society, first as a dog walker for two and a half years which has allowed me to expand my knowledge of all types of dogs, and now I volunteer in the grooming department bathing the shelter dogs. I also volunteer with the Tail Waggin' Mobile Adoptions. I continue to educate myself in all areas of dog behavior and the health of our canine companions. It is my goal to share my expertise in pet care so that when you leave home, you have peace of mind. My family consists of myself and Freckles, (2006) a border collie lab mix who was adopted from the Sonoma Humane Society. Rusty was the catalyst behind Paws Plus and he started me on this wonderful journey. 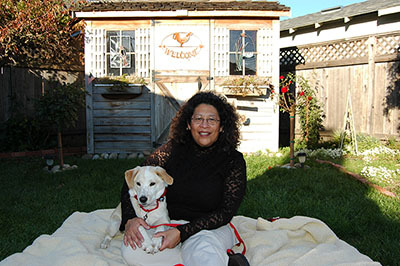 Christine has been a valued independent contractor with Paws Plus since 2010. She offers daily visits, dog walking and overnight care. She is certified in Pet First Aid and has vast experience in working with all types of pets, large and small.